Without the capital security of owning their farms, and often with the added pressure of short-term tenure, tenant farmers face a specific set of Brexit-related challenges. Here, the TFA has given 10 top tips to help tenants navigate the choppy waters ahead. A rent review can be triggered by either a landlord or a tenant to allow the farm rent to be decreased or increased according to farm economics and market conditions. With the policy framework and payments regime likely to change in the post-Brexit environment, farm tenants should be ensuring they have a rent review available for autumn 2019 or spring 2020, requiring rent review notices to be served at least 12 months in advance of these dates. Farm tenants should therefore be looking to send rent review trigger notices either in autumn next year or spring 2020. It is always a good idea to look at other ways income can be produced from non-agricultural activities on the holding, but this is not as straightforward for tenants as it is for owner-occupiers. Tenants with existing non-agricultural activities must ensure they have the correct consents in place from their landlords and those considering new activities will need to get new consents in place before investing in new business ventures on the holding. While succession planning is a must for all farm businesses, tenanted holdings have an additional layer of complexity in dealing with the tenancy itself. Not all tenancies are capable of succession and even those which are require careful planning and execution. With the changes Brexit will usher in, it is vital the thoughts and views of the next generation are taken on board and actions are taken to plan the tenancy succession if available. For tenants on Farm Business Tenancies (FBTs) with termination dates in sight, now would be a good time to talk to landlords about extending deals to provide a longer term horizon to plan the necessary changes required to see through the Brexit process. Some tenants may consider it appropriate to use the opportunity of Brexit to exit the industry altogether. Tenants on secure tenancies, let under the Agricultural Holdings Act 1986, may be in a good position to secure compensation for a tenancy surrender. Tenants on FBTs need to remember they have made a binding commitment for the length of term of the tenancy and may need to discuss opportunities for early exit with landlords. As well as considering tenancy extensions, it might be appropriate to look at seeking consent for improvements to the holding or seeking investment from the landlord to make it more resilient in the post-Brexit environment. There may be buildings for which you have a repairing obligation which might be declared redundant or offered to the landlord for surrender for reuse in return for other beneficial changes to the tenancy agreement. It is often the case landlords are not fully meeting their obligations set out in tenancy agreements, particularly in relation to repairs and replacement of fixed equipment. With greater emphasis on productivity in the post-Brexit environment, well-maintained holdings will be vital. As much as landlords chase tenants for repairs, tenants must do the same with their landlords. There may also be opportunities to require the landlord to invest in fixed equipment necessary to meet statutory or regulatory requirements on tenancies let under the Agricultural Holdings Act 1986. If tendering for a farm or additional land think carefully about the rent you are tendering. FBTs are generally market-led, but before taking on new land you need to work out what you can actually afford to tender, particularly in light of the changes which might come following Brexit. 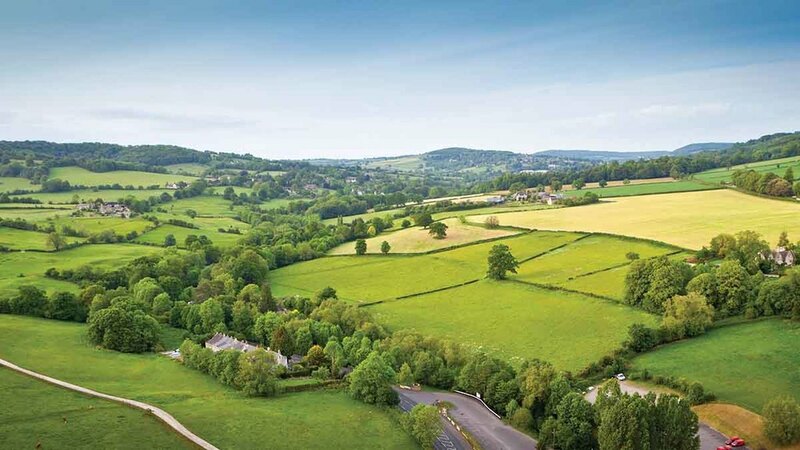 It is of paramount importance that whatever changes need to be made, either to the internal workings of the farm business or in arrangements with landlords to be Brexit-ready, are well-documented and understood by all parties. Deals done with handshakes or by word-of-mouth can easily be undone, forgotten or misrepresented later. It is easy to be tripped up by the complexities of landlord-tenant legislation and obtaining good advice will protect you against these pitfalls. Joining an organisation such as the TFA can give you access to good advice, information and support, while at the same time giving you an opportunity to contribute to the wider lobbying being carried out by the organisation to ensure the tenanted sector of agriculture navigates successfully through Brexit and beyond.